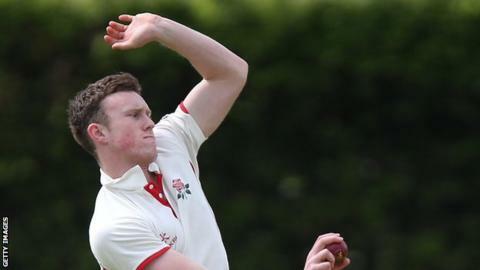 Lancashire all-rounder Danny Lamb and seamer Toby Lester have signed new contracts with the county to the end of the 2018 season. Lamb, 22, took two wickets on his List A debut in Lancashire's One-Day Cup defeat by Nottinghamshire in May. Lester, 24, played 10 games for the Red Rose's second XI, taking 22 wickets in nine appearances. "We hope they'll both hit the ground running come the 2018 season," said Lancashire head coach Glen Chapple.